Great news! Nintendo is holding a Nintendo Direct in both Japan and North America tomorrow morning. The Japanese Nintendo Direct will focus on the 3DS and ‘already announced Wii U games’ and will air at 7am ET. 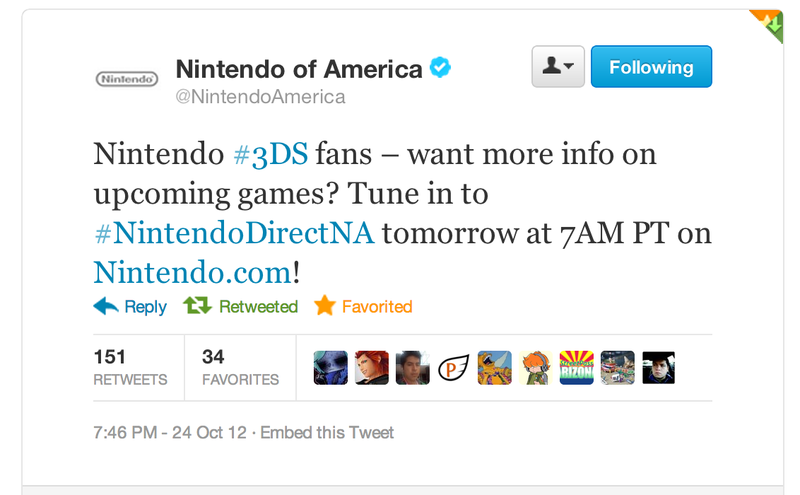 The North American Nintendo Direct will air at 10am ET and will focus on the 3DS as well. We’ll have all the latest news tomorrow morning! Stay tuned!